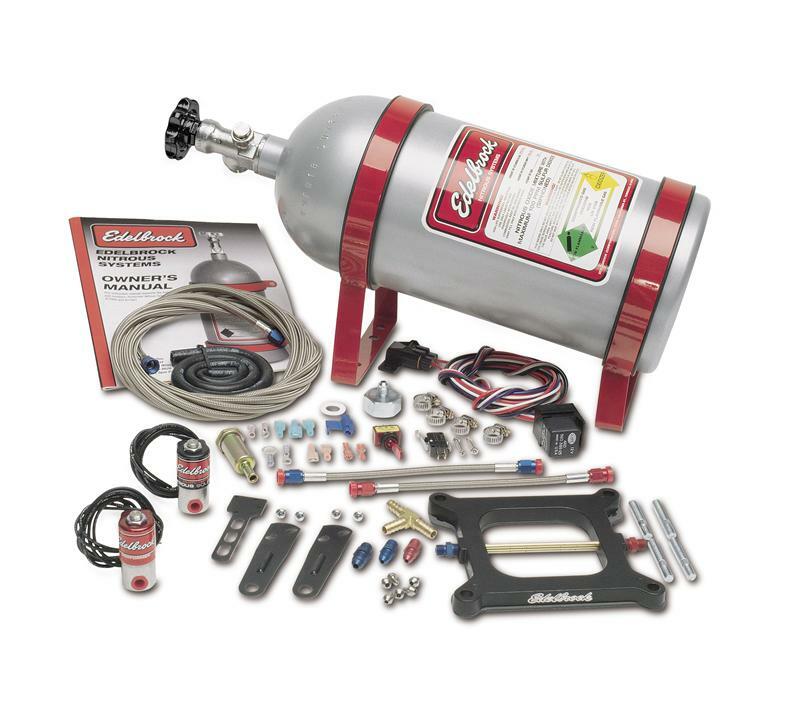 Edelbrock Nitrous System - Carb & Plate - Performer - Dezod Motorsports Inc - Home of the automotive performance enthusiast since 2002. Edelbrock Nitrous Plate Systems give you the horsepower numbers you are looking for in a system that’s easier to install than other systems on the market. Designed to be the best carb/plate kits available, they have more jets than other brands giving you greater tuneability and our spray bars are precision machined on an EDM machine instead of standard drilling, giving you the best flow characteristics available. 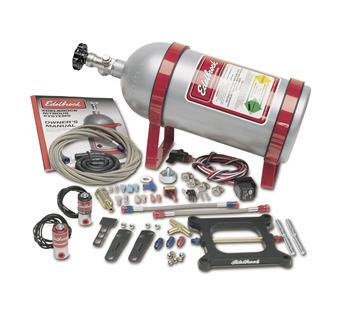 Performer single-stage nitrous systems are designed for use on carbureted V6 and V8 engines. Power increases can be adjusted from 50-100 horsepower. Edelbrock nitrous systems are simple to install with a 1/2” thick aluminum plate that fits between the carburetor and the intake manifold.